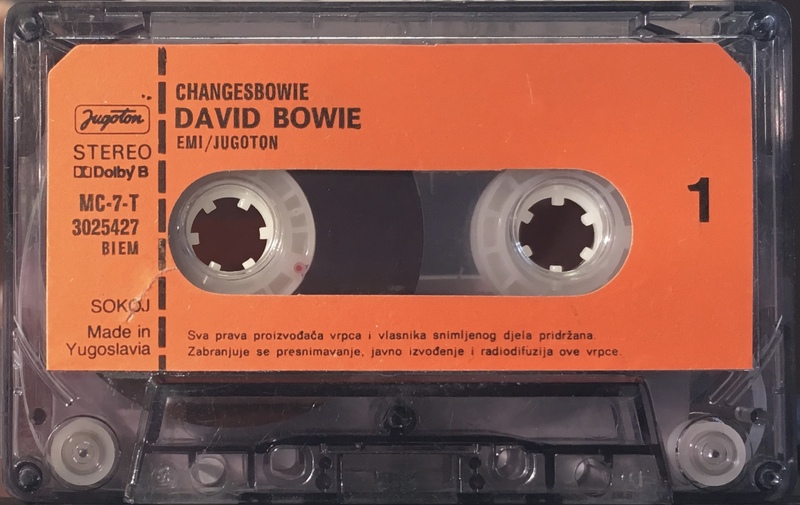 Changesbowie: Yugoslavia; EMI/ Jugoton, MC-7-T 3 02542 7; 1990. Four panel cover on treated card with cover photo over two panels; inner picture panels; light blue spine with EMI and Jugoton logos, blue rear panel. The inside and inner panels are a picture collage. 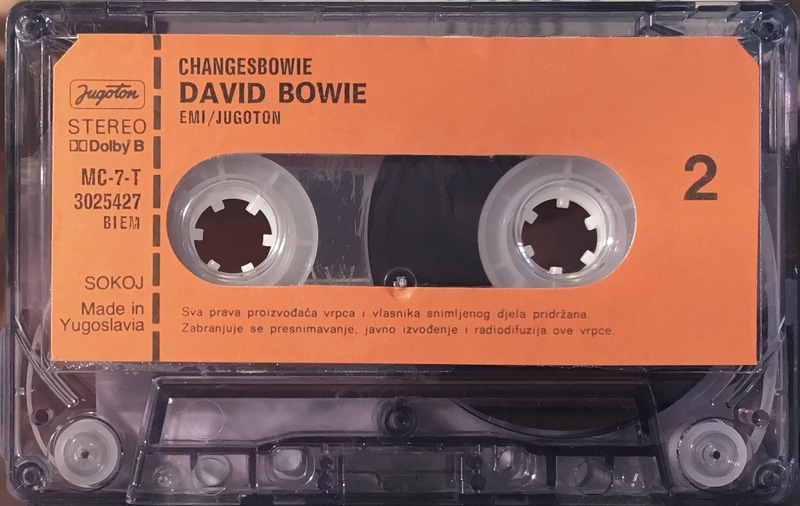 The rear of the cover has band, track and production information. Track list on rear and inner panels. This issue uses the UK cover and ‘Manufactured in England. SP9003GEM’ has been blanked from the rear panel. Black ink printed onto orange label on clear shell no slip sheet. SOKOJ rights and Jugoton logo.